You might be surprised to learn that many people are giving up their habit of shampooing every day or even forgoing it altogether, but the reality is, hair shampoos have only been around for 75 years or so. Before the 1930s, bar soaps like Castile were used to wash hair, or people used alternatives like vinegar rinses, teas, and herbs to clean their locks. When modern shampoo was introduced, women initially used it only once a week to wash their hair. With the advent of styling tools like hair dryers, curling and straightening irons, shampooing every day or every other day became the norm, particularly in the U.S., but that doesn’t mean that it’s a good thing, though shampoo manufacturers would like us to believe it is. Shampoo is considered a basic “necessity” in nearly every American home, but most don’t even think about the ingredients that are in it. You’re probably aware that there are many foods and beverages loaded with toxic compounds, but what you may not know, is that personal care products like shampoo often contain them too. They aren’t regulated by the FDA, of course, as we don’t ingest them, but anything you rub onto your skin can get into your body just like you swallowed it – that’s how things like nicotine patches and other drugs are delivered to the bloodstream. And, manufacturers can put anything they want to in them, some of which come with incredibly harmful effects. Take a look at the list of ingredients on the label of your shampoo bottle. The list probably reads more like a chemistry class – and that’s even for the shampoo products that claim to be “herbal” or moisturizing. Natural health advocate Dr. Joseph Mercola notes that putting chemicals on your skin (whether it’s a cream to moisturize it or shampoo to wash your hair and scalp), may even be worse than eating them. If you’re experiencing health issues and aren’t sure why, it could actually be your shampoo, as the ingredients in them can not only cause problems like persistent itching and flaky skin, but asthma symptoms like wheezing, allergies, sinusitis, and, they could be contributing to cancer in addition to wreaking havoc with your immune system, resulting in viruses, colds or even fungal infections. Just a couple examples of the potentially harmful ingredients include sodium laureth sulfate, or SLES, which, according to experts, is frequently contaminated by 1,4 dioxane, a byproduct of the methylation oxide used to make harsh petroleum-based ingredients more gentle. It’s also a known carcinogen and has been suspected of causing kidney damage. You won’t see it under the ingredient list on a shampoo bottle as it isn’t a part of the formulation, but a byproduct. Parabens are another common offender – they are a group of chemical preservatives that are often used in personal care products like shampoos. And, even at very low doses, they’ve been associated with reproductive damage and organ toxicity. Frighteningly, a 2014 assessment of the breast tissue of 40 women who had undergone a mastectomy after a diagnosis of breast cancer found one or more of the parabens in 99% of the samples, suggesting a link between them and breast cancer. Parabens are known to have similar properties as estrogen and have previously been connected to cancers that were sparked by excessive unbalanced estrogen. Methylisothiazolinone and diethanolamine, two other commonly used chemicals in shampoo, can cause health problems like nerve damage, and there is a long list of others that come with potentially serious hazardous effects as well. If you use common commercial shampoos, you’re lathering up your scalp with chemicals with every wash. Not long ago, many people were shocked to find that even Johnson & Johnson’s baby shampoo contained toxic chemicals such as formaldehyde and 1,4-dioxane. It’s not just your health you have to be concerned with when it comes to shampoo, as these chemicals are getting washed down the drain and running into our water supply. Wastewater treatment works are unable to prevent these chemicals from escaping into the environment. The plastic bottles are filling our landfills with waste and damaging our planet as well as the humans and wildlife that live here. Fungicides in anti-dandruff shampoos have been detected in water where it causes problems for fish, plants, and algae. Washing your hair every day also uses a lot of our precious water, which can not only cost us in higher water bills but contribute to its waste, something that’s a big concern, especially in drought-prone areas. Shampooing every day is likely to harm, not help your hair. It often leads to a dry, itchy scalp as you’re not giving your scalp time to replenish itself with natural oils. The more you wash, the more oil your scalp will produce to compensate for having its natural oils stripped so often, which leads to more washing. As many conventional shampoos contain petroleum-derived silicone, while that ingredient can create the illusion of smooth, healthy hair, it actually coats the hair shaft, seals out moisture, and clogs follicles. Hair can become “hooked” on silicone, dependent on that synthetic coating, and will stop producing its own natural emollients. Plus, your hair may look dull, lack body and be more likely to break and/or develop split ends as it’s subjected to more stress. Those cheap ingredients in shampoos tend to build-up over time, leaving your hair lifeless. Many fans of the “no-‘poo” movement claim abstaining from shampoo leaves their hair healthier, shinier and less frizzy. When (and if) shampoo is needed, only non-detergent cleansers, or those that contain natural oils, are used. It helps scalp oil become a friend, and not a foe, creating balance rather than fighting against it. If you’re hoping to have longer hair, going “No-poo” is a great way to accomplish it faster too. If you don’t have to worry about washing your hair every day, you’re going to save a lot of time – that can make a big difference, especially on those busy mornings. Not only that, but you’re likely to be able to style your hair quicker and easier too. You may have had a stylist ask you to come in with “day old” hair, and that’s because natural oils provide more body and hold without the use of heat and/or styling products. In fact, you may be able to create a style just by brushing. If you’re ready to go “no-poo,” consider these alternative ways to wash your hair instead. To make it, boil the soap nuts in the small muslin bag by placing it into 2 cups of boiling water. Reduce the heat and simmer for about 20 minutes. Add one more cup of water, and the 5 drops of lavender essential oil. Simmer for an additional 10 minutes, and then remove the liquid from the heat. Squeeze out the bag until it begins to produce a foamy liquid; rinse with cool water and squeeze it into the pan again. To use, massage a small amount into your hair and allow it to sit for 5 minutes. Rinse well. The shampoo can be stored in a glass jar in the refrigerator until you’re ready to use it again. As mentioned, apple cider vinegar has long been used to “wash” hair, helping to remove excess buildup of mineral deposits from the hair and scalp. It’s easy to make, all you need to do is combine a cup of water with a quarter cup of apple cider vinegar. When you’re in the shower, wet your hair and then pour the mixture over your head, making sure to avoid getting it into your eyes. Rinse your hair with water like normal. 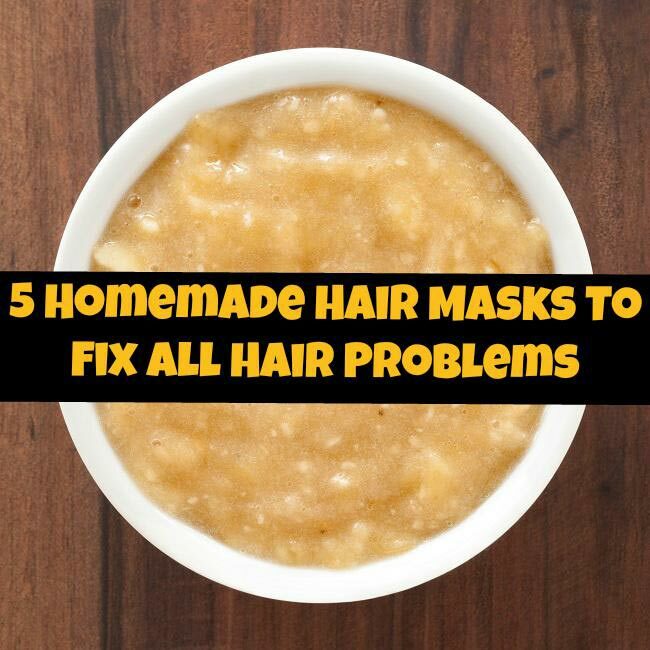 It’s likely to leave your hair looking shinier and feeling softer too. For more information on how apple cider vinegar works wonders for your hair, as well as how to add herbs to your ACV rinse, have a read of this article. Castile soap is an ideal choice for those who can’t fathom washing hair without lathering up, as although it is all-natural, it also forms a lather similar to store-bought shampoos. While you could use a castile soap bar, liquid castile soap is best as you can also add ingredients like essential oils and/or moisturizing oils, depending on your preferences and type of hair. For example, add a couple of drops of peppermint oil which provides not only a pleasant tingling sensation, but it’s said to stimulate hair growth. To use castile soap, simply dilute the unscented liquid version in a 1:3 ratio with water, and store it in a soap dispenser. When you want to use it, all you do is pump a bit onto the palm of your hand and later up. Baking soda is famous for getting hair squeaky clean, but don’t use too much or you could damage your hair. It’s excellent for scouring off dirt, grime, and stale oils, from deep within hair follicles. Baking soda is simple to use too, simply combine one part baking soda with three parts water, apply at the roots, wait a few minutes, and then rinse with warm water. You can combine baking soda with other ingredients too. For example, add a few drops of lemon juice to help fight dandruff or coconut oil for extra moisture. Coconut milk is one of the best things you can do for your hair. If you’ve ever noticed that Filipino women tend to have especially gorgeous, thick, long hair, it’s thanks to coconut milk. It provides gentle cleansing action that acts as a natural shampoo, as well as being rich in protein and fatty acids that boost hair growth and feed hair follicles with essential nourishment. It naturally conditions hair and reverses heat damaged hair too. To use coconut milk, pour about one-half to one cup, depending on the length of your hair into an empty bottle. Pour it all over your scalp and then massage it in, working your way down to the ends of your hair. Leave it on for a few minutes to allow the coconut milk to absorb dirt and grime, and then rinse thoroughly. Then at least try making your own natural shampoo, or start using a natural, organic store bought version.